Using WordPress? Make sure you're prepared for Gutenberg - Collective IT Solutions, Inc. There are many articles and rumblings on the internet currently regarding Gutenberg, WordPress’s “in the near future” new Editor. Some reviews are good and explain the intentions of Gutenberg. Some are better and point out what will not work with the new WordPress updates and what features will be improved due to the new updates. And some reviews are just telling you what a horrible change this will be since many older plugins / themes will no longer work correctly. Will your current WordPress plugins will all work correctly? Here is an excellent resource that many Users contribute to: Gutenberg Plugin Compatibility Database. Not all plugins have been tested, but this is a good start. Next, you can use a staging server to test out your current websites and install the Gutenberg Plugin. 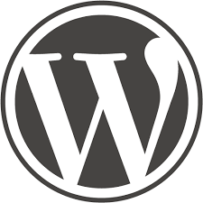 No matter what anyone is staying, this will obviously be a big change for WordPress. As a long time User / Designer / Developer of WordPress I must admit I’m nervous about a seamless integration for many websites.